Traditional trading psychology has tended to focus on the emotional side of human nature as a source of performance success: both controlling emotions and maintaining discipline and using our feelings as intuitive sources of information. Both are essential; indeed, it is only by becoming observers to our emotions that we can learn from them. Still, the research I've undertaken to identify the characteristics of successful traders has consistently shown that cognitive traits, and not just emotional ones, are essential to superior performance. This is why, for example, I have emphasized the structure of the learning process as a source of mastery in the Enhancing Trader Performance book and why I devoted a large section of the Trading Psychology 2.0 book to the development of creativity and the cultivation of our cognitive strengths. Show me a successful trader, and I'll show you someone who displays unusual talents in processing information. The most basic of these cognitive strengths is focus. Indeed, the ability to sustain focused attention is seen (albeit in different ways) among both successful daytraders and successful investors. In the daytrader, we see the ability to sustain intense concentration on a number of variables simultaneously. It is this parallel processing skill that enables the daytrader to act quickly on shifts in buying and selling flows. Conversely, the skilled investor maintains a depth of concentration over time that allows for a deeper understanding of fundamentals and the supply/demand changes that result from monetary and geopolitical sources. The challenge faced by these market participants is distraction. Distraction interferes with focus and thus reduces the quality of our information processing. Distractions can be emotional in nature, but can result from environmental sources as well. Indeed, I've consistently found that both home environments and trading floor environments are poorly suited for the optimization of focus. This is why many of the successful traders I've known have made it a practice to get away from their screens for periods of time during the day to both renew their concentration and to increase their focus on the bigger picture of what they are doing. All of this is important because the quality of our focus mediates the quality of our access to intuition and prior learning. When we have superior focus, we literally have greater access to a larger library of information. In a highly distracted state, we lose any edge we might otherwise possess, because we simply cannot access the sources of that edge. Indeed, it is only through focused immersion in information that we, over time, develop a keen capacity for intuitive pattern recognition. Without that immersion, we never truly internalize our learning. This is why so many successful traders value sleep and physical exercise as part of their daily routines. They realize that fatigue and burnout increase our susceptibility to distraction: to optimize our focus, we have to keep ourselves in an energized and rested state, renewing our willpower. 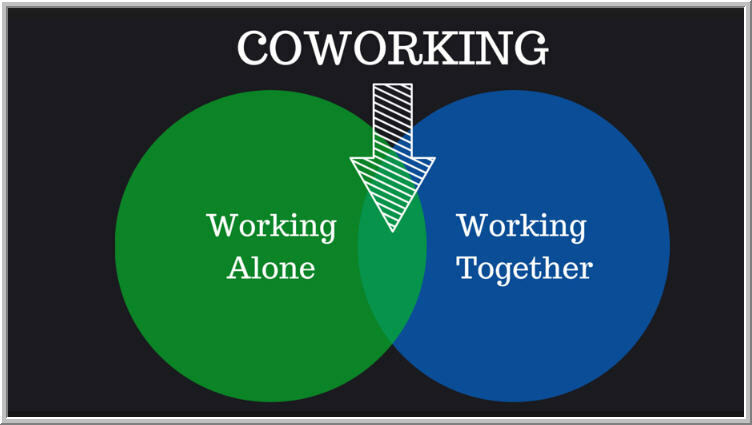 1) Optimizing our physical environment - Surrounding ourselves with the people who contribute to our decision-making and tuning out others. Creating a trading station that is comfortable and well laid out, with the right lighting, temperature, and sound level. 2) Optimizing our cognitive environment - Making sure we have ready access to the information essential to our decision making, but not more than that. Laying out screens for ready comprehension and action and avoiding a cluttering of our information environment. Controlling when and how we access chat, email, and phone calls to minimize external noise. 3) Optimizing our capacity for focus - I've written extensively on the topic of biofeedback as a tool for improving focus. Indeed, biofeedback is a major treatment modality for children who suffer from attention deficits. In biofeedback, we learn to sustain frontal brain activation over time, literally training ourselves to build our attention muscles. This helps us filter out distractions and maintain focus for longer period of time. 4) Optimizing our personal lives - In addition to maintaining a high quality of sleep and exercise, many people find that how they eat and take in caffeine and sugar impacts their level of focus. Quite a few traders I've known have made use of coaching, not to work on their trading per se, but to sort out challenges in their personal lives (relationship issues, family matters, financial challenges) that can be distracting to their trading. It is generally a mistake to try to put such issues out of your mind. Finding time and a proper forum for addressing the issues directly helps prevent them from intruding on trading time. 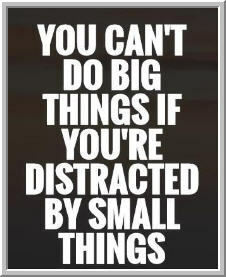 As the quote at the head of the post suggests, it is very difficult to achieve great things if we're distracting by little things. Building our focus from day to day is helpful in sustaining a greater life focus, where we're not only doing things right, but doing the right things. Real time stress is one of the most common psychological challenges faced by competitors in performance activities. Even very experienced golfers have been known to get the "yips". Most public speakers have had the experience of going blank during a major talk. The student who has studied all night for the exam can "freeze" during the test and forget what he or she has learned. Traders who have laid out promising plans for trades can find themselves exiting on a small move against them or--worse still--struggling to "pull the trigger" to enter the trade. What causes this stress--or performance anxiety--and what can we do about it? First, note that not all stress is a bad thing. As I pointed out in a recent post, anxious feelings can point the way toward our growth. In such cases, tackling the nervousness that occurs when we push our boundaries is very constructive. The last thing we want to do is try to bury the feelings that point the way toward our growth! Conversely, not all anxiety is performance anxiety. Some people experience anxiety across a range of life situations, not just during periods of performance demands. Broader anxiety problems, such as generalized anxiety disorder, panic disorder, and various phobias, require professional assistance, usually with behavioral methods and medication assistance. True performance anxiety is specific to performance situations. It occurs when we become so worried or concerned about the outcomes of our performance that our nervousness interferes with the performance itself. Fear of loss is the most common reasons traders experience performance anxiety. Instead of accepting loss as a natural part of playing a probabilistic game, such traders view loss as a threat. This is important to understand. It's not simply losing money that creates anxiety, but the interpretation of loss itself. When we view losses as threatening, we naturally respond with the fight or flight stress response--and this colors our subsequent decision making. Very often, we choose flight over fight and fail to enter good positions or bail out of existing positions at poor levels. Sometimes this performance anxiety is the result of having taken large--too large--losses in previous trading. The emotional upset associated with those outsized losses return when positions move against us, so that even normal noise is experienced as threatening. In a previous post, I noted that drama in P/L can create trauma in our emotional responses. Sound risk management is essential so that we ensure that losses cannot become truly catastrophic to our accounts--and to our psyches. A rule that I have long advocated for active traders is to make sure you do not lose so much in a trade that you cannot finish the day in the green. Similarly, you don't want to lose so much in a week or month that you cannot finish the month or year positively. This is helpful psychologically, as no losses become undue threats to our success. Should you find yourself overreacting to past losses, it is very helpful to return to modest risk taking, regain consistency in trading, and gradually rebuild size as the sense of security and confidence return. This is how people recover from all traumas: repeated experiences of mastery and safety eventually reduce the sense of threat. The behavioral techniques described in The Daily Trading Coach are particularly effective in dealing with performance-related stress. Visualizing hitting one's stop and taking planned losses while mentally rehearsing constructive self-talk and keeping yourself calm and focused with deep, slow breathing is a way of reprogramming catastrophic self-talk and the upsetting impacts of past losses. If those visualizations are performed repeatedly before trading hours, they create what psychologist Donald Meichenbaum referred to as "stress inoculation". We expose ourselves to manageable threats and this exposure provides us with a sense of mastery and perspective that helps us deal with drawdowns in real time. I have worked with many successful traders. The great majority lose money on a substantial number of their trades. Where they succeed is that they keep the size of the losers small and profit more meaningfully on the winning trades. If we cut our winning trades short because of performance anxiety, we create a situation where it would take an unrealistically high hit rate on our trades to ensure profitability. Ironically, it's when we can accept and even embrace losses--ensuring that we learn from losers and thus take away something of value from our setbacks--that we can make the most of our trading strengths. A great way to not succeed is to be isolated and locked into a single style of trading. 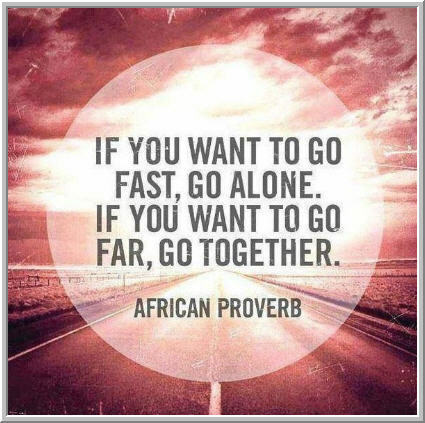 To go far in trading, as the proverb above suggests, it helps to go together. Of all the psychology problems I observe among highly competitive traders, frustration is the most common. Indeed, as I recently noted in a presentation to fund managers, frustration is a great example of the principle that strengths, taken to an extreme, can become vulnerabilities. When we are achievement oriented and demanding of ourselves, having something get in our way breeds a natural frustration. That frustration, in turn, triggers a fight/flight state and suddenly we are no longer nicely grounded in our brain's prefrontal cortex. Instead, we activate motor areas to cope with the situation and act in ways that we would never entertain if we were calm and focused at the start of the trading day. As the above quote suggests, frustration comes from expectation. When we have a goal and the achievement of that goal becomes blocked, we are wired to take action to remove that block. That can be helpful if, say, our path out the driveway is blocked by high, wind-blown snow. The frustration of the situation can energize us to take out the shovel and remove the block. But what if we cannot take remedial action? If a car suddenly pulls in front of us without signaling and nearly causes an accident, there is no ready, constructive action we can take. So we blow off steam and curse, hit our horn, etc. Suppose, however, that we are in a *rush* to get to our destination. We need to be on time, and the car suddenly pulls in front of us and causes us to get stuck at a red light. That's when frustration is likely to be channeled as anger. The inconvenience is now processed as a threat and our fight/flight mechanism goes into overdrive. It's not just having a blocked goal that creates frustration; it's the *need* to reach that goal that sets us up for a performance-destroying response. Should we react to the traffic situation by running the red light or suddenly switching lanes ourselves, we could create a real accident. Those are actions we would never take under normal driving conditions. As I point out in The Psychology of Trading, many times frustration and anger are responses to current situations that bring up the feelings from prior challenges and conflicts. In such cases, our frustration seems out of proportion to the immediate situation. That is because we are responding to past situations, not just the (similar) current one. For example, if we experienced considerable difficulty learning in school, perhaps because of a learning disability, normal setbacks in trading can feel like past failures, eliciting self-criticism, negativity, and frustration. In such cases, our frustration problems will not be limited to trading contexts. When the past intrudes into the present, that typically affects a broad swath of life domains, including relationships and work. If those patterns are interfering with many life areas, it can be very helpful to seek professional help. When frustration is more situational and shows up dominantly in the trading context, the techniques described in The Daily Trading Coach, such as building positive associations and exposure methods, can be quite helpful. (Another way to access resources relevant to frustration is to Google "Traderfeed frustration" and you'll see quite a few posts pertinent to the topic). One particularly powerful approach is directly addressing the perceived *need* that fuels the shift from frustration to anger. It is natural--and not necessarily problematic--to be frustrated when we don't reach a desired end. When we tell ourselves that we *must* achieve that goal *now*, we set ourselves up for overreaction. In such cases, training ourselves to embrace losses and learn from them is very helpful to our trading psychology. Quite a few times, I have entered a good trade with a positive expected return and it hasn't worked out. When that has occurred, I will say to myself, "That should have worked!" That leads me to entertain the hypothesis that the market cannot sustain the expected direction and may indeed trade the other way. That can be very useful when a breakout trade suddenly stalls and returns to a prior trading range. Embracing the loss and now looking for a possible retracement of that range, given that others are similarly trapped, can turn the losing trade into a tuition for an even more profitable winning trade. Other times, we may extract useful information about our trading mistakes from losing trades. Perhaps our entry execution was sloppy, triggering us to work on firmer rules for entries. That channels the frustration constructively, away from anger. Many traders I work with become very alert to the cues of mind and body to recognize frustration as it's brewing. They are able to recognize that as an emotional pattern that has cost them money in the past, and that triggers them to step back from screens and regain emotional equilibrium. We are best able to change an emotionally driven pattern if we're aware of that pattern. Mindfulness is a great antidote to reactive trading in the heat of battle. Most traders have dealt with runs of winning and losing trades. We can expect those to occur simply as a function of chance. A greater problem occurs when we have runs of sound and unsound trading processes. In other words, we become inconsistent in our preparation for trading; inconsistent in our research; inconsistent in our sizing and risk management; etc. This inconsistency threatens any possible edge that we can have in markets. One of the reasons I encourage traders to keep regular report cards to grade their performance is so that they can catch inconsistency as early as possible, before it can sabotage their trading and their mindset. A trader I recently met with scored himself unusually low on his ability to anticipate risk. He simply failed to engage in scenario planning should his position fall out of bed on adverse news. Because he had been trading well, he became comfortable and complacent. We used that lapse to help him make the scenario planning part of his daily checklist. The goal was to review the "what if" contingencies--and mentally/emotionally prepare for them--*before* putting the trade on. 1) The market has changed. Our trading can become inconsistent when markets themselves exit one regime and enter another. As trends change, correlations among markets change, and volatility changes, what had been working may no longer bear fruit. If you find that your trading processes have remained relatively constant but your results are noticeably worse, you want to take a deeper look into what you're trading and whether it has become a different market. If so, you want to make sense of that new regime and develop fresh trading ideas based on new understandings. Be especially attentive to alterations you have made in your trading processes in reaction to changed markets. One trader I recently spoke with found himself trading more frequently as markets became less volatile, in essence pressuring himself to make money by taking more trades since each trade was yielding less. That overtrading led to poor results. 2) Our state has changed. In the example from the second paragraph above, the trader became overconfident and overeager after a period of winning. In other situations, we lose consistency when we become frustrated or fearful. The state change into fight or flight mode causes us to act in a reactive, unplanned fashion. At such times, we place trades as much to manage our states as to optimize our profitability. If we find that critical portions of our planning have been overlooked in the heat of battle, then our goal is to work on staying calm, focused, and mindful in real time. In my Trading Psychology 2.0 book I discuss self-hypnosis as a way of replacing negative states with positive ones. The Daily Trading Coach covers a number of methods for state-shifting, including the use of trance and behavioral exposure techniques. When we can recognize problem states in real time, we can then use meditation and guided imagery methods to switch into a calm, focused mode before the agitated state can hijack our trading. 3) We have become fatigued. Fatigue is a special kind of state change, as it relates to energy level more than emotionality. Very often traders spend long hours in front of screens and overtax their willpower. This is a short-term equivalent of the burnout described in the recent post. In that situation, we need to renew ourselves, typically by getting away from screens and entering a different mode and state that is stimulating and renewing. Taking an exercise break midday, getting off the desk and talking with colleagues--these are ways of shifting gears that can be renewing. Getting the right amount and quality of sleep at night is also an important consideration, as the lack of restorative sleep can lead to diminished concentration and susceptibility to inconsistent trading. The positive impact of healthy eating, healthy exercise, healthy sleep patterns cannot be when it comes to optimizing one's energy level. 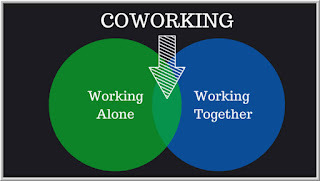 Building positive, stimulating activities into non-trading time can also be highly renewing. In short, there is no single answer for inconsistent trading, as there are many potential causes. As a rule, if your process is inconsistent, then state changes could well be the trigger and culprit. If your processes have remained rigorous but results have gone downhill, it could be a sign of changing market regimes--important information in itself. Inconsistency in trading generally means that you have fruitful work to do, either on yourself or on markets. It's no secret that I'm a skeptic regarding traditional technical analysis, per the recent blog post. Still, I respect objective reality and acknowledge that I've been honored to know a number of successful traders who make active use of technical ways of understanding markets. My sense is that they are skilled in identifying stable market regimes and the patterns that characterize those regimes. Peter Brandt's newsletter stands out as a technical resource that covers a wide range of assets, with a track record documented in real time. The newsletter also shares the accumulated wisdom and experience of a seasoned trader, an equally valuable contribution. It's hard to dismiss technical analysis entirely when an experienced hand is garnering real time returns that beat the pants off most money managers. So how can a trader learn the best of technical analysis and avoid the hype and mumbo-jumbo? My favorite text is Cliff Sherry's classic, The Mathematics of Technical Analysis. Another phenomenal resource is the cycle work of John Ehlers, which forms the basis of another service with an outstanding track record: StockSpotter. Both take a quant approach to the analysis of price behavior, adding an important element of rigor to the common use of charts and indicators. Brandt's newsletter stands out as a real time resource that not only makes market calls, but explains these in technical terms. Another recent set of learning resources has been offered by Adam Grimes. He has recently supplemented his book on technical analysis with a free course and a hands-on workbook. The workbook is a compendium of resources Adam has offered over the years, spanning trading psychology, the psychology of learning, chart reading, and basic statistical methods for assessing the validity of technical patterns. Adam makes the excellent point that technical formulations are really ways of identifying patterns that capture two factors: value (mean reversion) and momentum (price continuation). He stresses the importance of understanding the "stories" behind charts and price action, not simply following preset indicators and chart formations. There is a lot of lazy technical analysis out there. One thing stressed by all the above resources is analytical rigor. Technical analysis can provide valuable market insights, but not shortcuts. 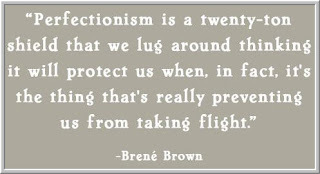 In the Enhancing Trader Performance book, I identify a powerful obstacle to developing successful trading strategies: perfectionism. "Perfectionism clearly plays a role in preventing us from cultivating superior strategies," I wrote. "In a very important sense, perfectionistic traders are not seeking to make money. They are trying to not lose money. Their intolerance of loss keeps them moving from method to method in search of a certainty that markets cannot provide." (p.157). The phrase here is apt: *intolerance* of loss. The perfectionist is not seeking self-improvement. The perfectionist is intolerant of anything that falls short of ideal. This sets the stage for self-blame and frustration. While it might look like a shield of high standards that protects us, in fact that shield burdens us, weighing down our performance. A review of one's trading journal often reveals when perfectionism is a problem. A trader might have identified a good idea, placed a trade at a good level, and taken profits at a target, only to see the trade go further in his or her direction. The journal entry will focus on what the trader *should* have done (holding the trade longer) rather than what the trader did well. The "should" is not grounded in any tested rule; that same trader will be equally self-blaming over a trade that is initially profitable but reverses when he or she holds for a further target! Such perfectionism is hindsight bias at its worst. Note how such perfectionism turns a winning trade into a psychological loss by exclusively focusing on shortcomings. It is not constructive, because it does not create concrete learning lessons. It is frustration channeled as self-blame. As such, it robs us of the fulfillment we otherwise would feel after a good trade and leaves us feeling diminished. Over time, such self-blame takes a toll on our energy and outlook, contributing to the problem of burnout. How many of your journal entries and how much of your review time are spent on what you did wrong? To what degree do you learn from your successes and reinforce your best practices? If you are parenting a young child, you would use positive reinforcement, not just punishment, to teach the right behaviors. As a trader, you are always a young child, always developing, always learning. You want to be as constructive with yourself as you would be for a daughter or son you love. 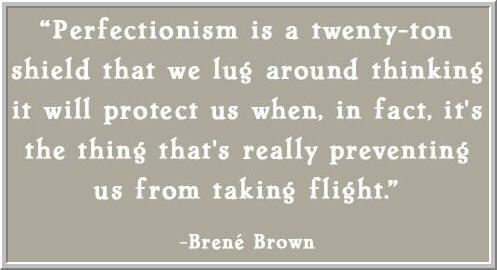 Perfectionism wears people down. Perfectionism tears people down. We want to channel frustration toward learning and improvement, not toward self-blame. We want to direct our anger toward our problem patterns, not toward ourselves. That is a very important distinction. 1) Restructuring Our Reviews: By giving ourselves realistic report cards, grading each area of our trading process, we can readily identify what we're doing well and what we're doing that needs improvement. We want to go forward with positive goals--building on our successes--as well as remediation goals, correcting our weaknesses. Every review should identify strengths and improvements and should lead to goals of continuing to do what is working. Every review should also focus on constructive steps we plan to take to improve our shortcomings. The focus of the review is on improvement, not blame. We focus on getting better, not being perfect. 2) Cognitive Strategies - The cognitive strategies described in The Daily Trading Coach enable us to identify negative thought patterns as they occur, so that we can redirect our processing in real time. Very often, perfectionistic ways of thinking are ones we have inherited from parents, teachers, and other early life role models. When we can separate their voices from our own--a great application of cognitive journals--we allow ourselves to stand outside our perfectionistic patterns. In short, when we adopt a cognitive perspective, we turn rigid, negative thinking into the enemy. That allows us to coach ourselves in an empowering way, not in a way that demoralizes us. 3) Behavioral Strategies - Very often, perfectionism is triggered by frustration. Of course it's frustrating to take off a trade only to see it go much further in our direction. That frustration shows up as physiological tension, which in turn cues the negative thought patterns. One of the greatest insights I came to as a trader was the recognition that my poor trading was entirely state-dependent. When in the fight-or-flight mode, I was much more likely to miss what was happening right in front of me and impose my own needs onto markets. Behavioral strategies allow us to pull back from trading screens and change the state we're in, becoming more calm and focused--and much more able to recruit solid coping skills. Sometimes negative, perfectionistic thinking is pervasive, occurring across life domains, not just during trading. If that is the case, it's worth consulting with a psychologist and developing a structured plan for changing those patterns. It's also worth ruling out depression as an underlying problem, as the depressed state can lead to chronically negative thought patterns. As I emphasized in the post on diagnosing our trading problems, it's always a warning sign when patterns disrupting our trading are also disrupting other areas of life. That's when we want to move beyond coaching and get concerted professional help for overlearned patterns. We will never be perfect as traders. That's what keeps us ever-learning, ever-growing. 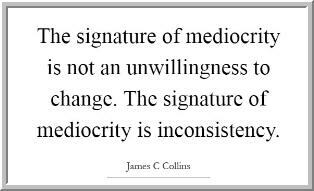 Our challenge is to use our shortcomings as inspirations, fueling continued improvement.